As more Americans find their financial footing following the 2008 recession, nonprofits have finally begun to see an uptick in their donations. Regardless, the main challenge for these organizations will be to reach new supporters, increase issue awareness, and to acquire the funds needed to accomplish their mission. There will always be a place for traditional fundraising tactics, but the smartest nonprofit administrators have embraced online giving channels. Here are eight stats that show why online giving is key to the future of online giving. According to the 2014 M&R Benchmark Study, of the $324 million donated online in 2013, nearly one-third of fundraising revenue came from email marketing. The M&R study also showed the benefit of email marketing scaled with the size of the non-profit. The average revenue for every 1,000 fundraising emails delivered by nonprofits was $17 or a return of 1.7 cents for every email delivered. However mid-sized nonprofits saw a $29 average revenue for every 1,000 emails delivered. International groups did the best with an average return of $59. The report showed clearly that the internet was increasing as a source of donation. From 2012-2013, there was a 14% increase in revenue from online giving for nonprofits, a 14% increase in the average number of online gifts, a 2% increase in average online gift amount and a 25% overall growth rate for online monthly giving to nonprofits in 2013. According to the Content Marketing Institute, nonprofits with the most effective content marketing campaigns use an average of five social media platforms. The same study by the Content Marketing Institute found that better performing nonprofits tended to use internet marketing to spread their content. They reported “52 percent of nonprofit professionals who have a documented content strategy rate themselves highly in terms of effectiveness; only 14 percent of those without a documented strategy rate themselves highly”. CMI also noted that “69 percent of the most effective nonprofit professionals are creating more content than they did one year ago, compared with 55 percent of their least effective peers. NonProfit Times reported on a study that showed how online giving had increased by sector in 2013. They found that Online giving grew by 10.9% for environmental and animal welfare, 10.8% for K-12 education organizations and 8.9% for international affairs. By far, it was religious organizations who saw the biggest increases through online giving. There was a 16.7 percent increase in online giving for churches and faith-based groups in October 2013 compared to the same time last year. As these statistics show, nonprofits have just as much to gain from internet marketing as any other business. 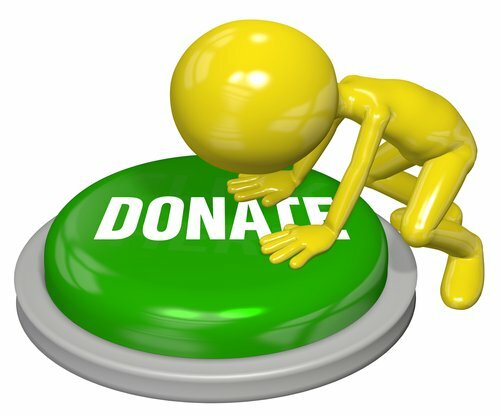 Creating online giving channels makes it easier for people to donate wherever they are and helps nonprofits reach the new supports who will be the future of their organizations. Through simple tactics like email newsletter, blogging and social media marketing, nonprofit marketers can use the internet to take their fundraising to the next level. For some specific ideas you can use for your nonprofit, read this article with fundraising tips.